While we wait for the vinyl to arrive - two weeks, tops - treat yourself to one of these CDs. 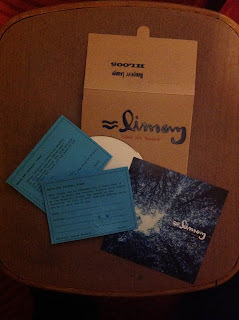 These beauties come in a hand-printed sleeve and contain a voucher which can be redeemed for a free copy of the LP. There are 30 copies only. Me gustaría comprar uno de esos CDs. Cómo/dónde lo hago? Gus. Cómo compro los CDs? Giras en Buenos Aires, shows?